The Tebo family loves Halloween, so we figured a sale would be cool. 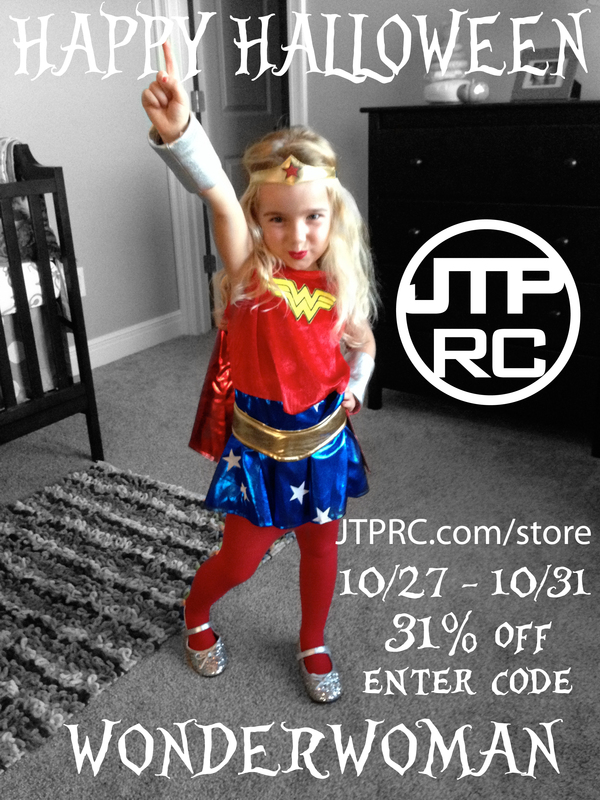 Got to JTPRC.com/store, or JTPRC.bigcartel.com and enter the code WONDERWOMAN to get 31% off your entire JTP order. The code is only good from today to 11:59PM Halloween night 10/31.